Handheld telescoping targets with soft handle and soft ball on the end. These extendable targets can be used on the ground or in the saddle for teaching the horse to touch/follow with their nose (e.g. for first ridden work or liberty lunging), or for targeting body parts such as the cannon bone (for spanish walk / jambette / 'panther walk') or the hip (for mounting block, travers, haunches in). 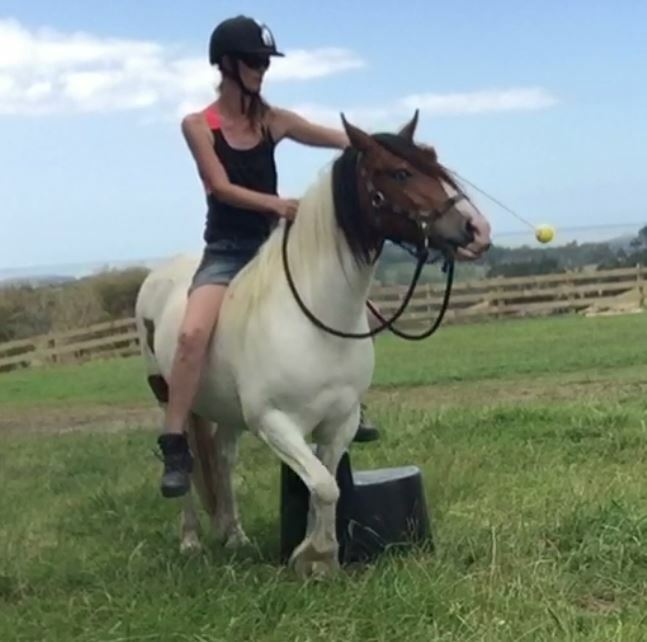 I originally made this extendable target to use when starting my young pony under saddle, as a means of teaching forward movement and turns. It was so successful I decided to get more and sell them.